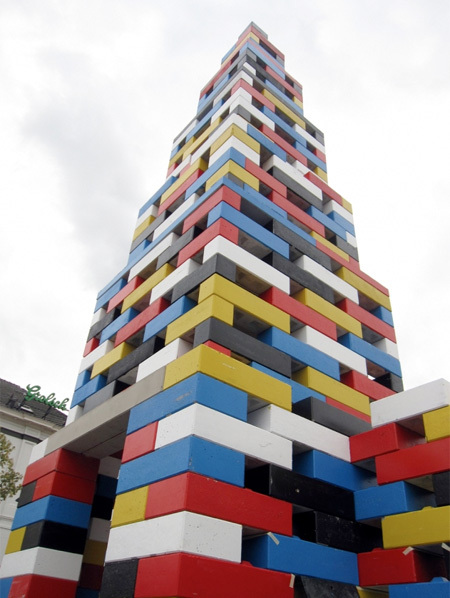 Unique building in the Netherlands constructed out of giant LEGO bricks. 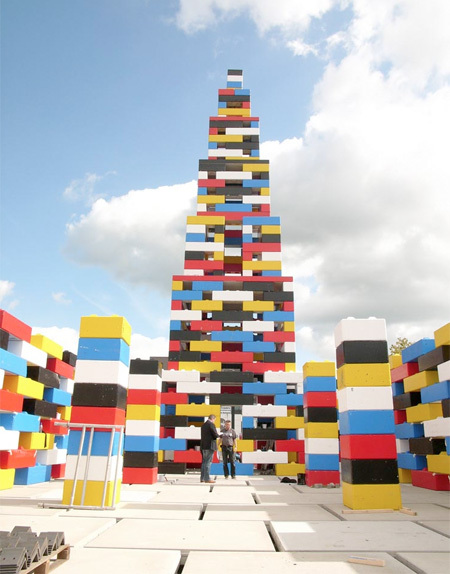 Abondantus Gigantus church was designed by LOOS.FM for Grenswerk festival in Enschede. 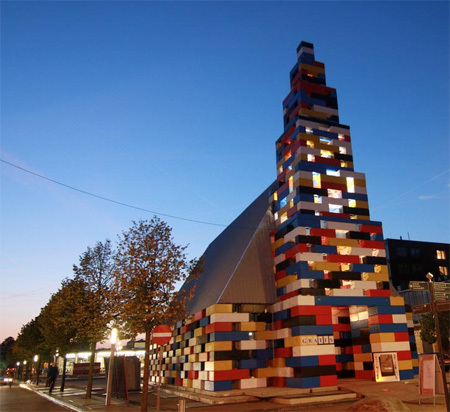 Temporary pavilion made out of hundreds of concrete blocks served as a place for meetings, performances, and exhibitions. 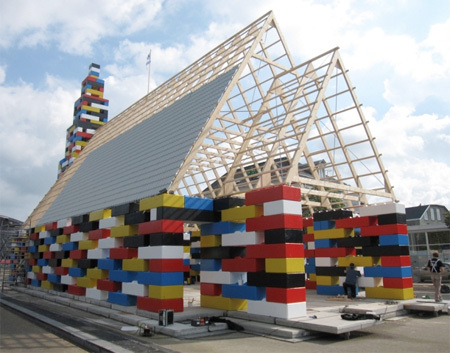 After the festival, LEGO church was disassembled and placed in storage. I’m not religious at all but…. 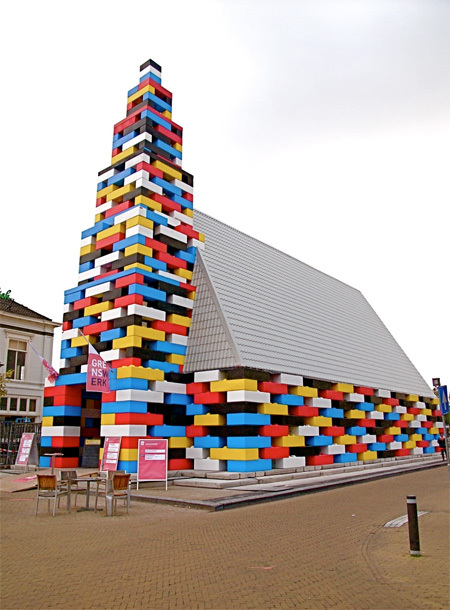 should churches really be made from lego? Yes ! Ask my 5 yr old ? 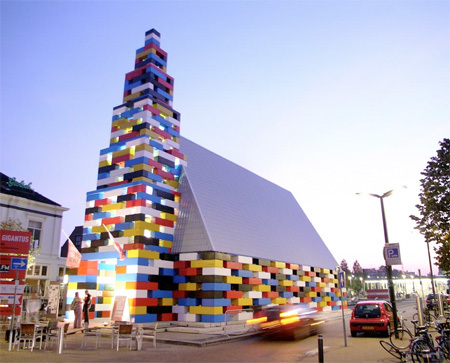 Churches are more fun made of Lego!!! 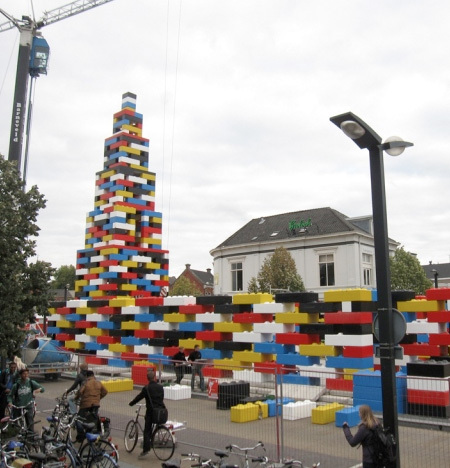 More of a duplo church. 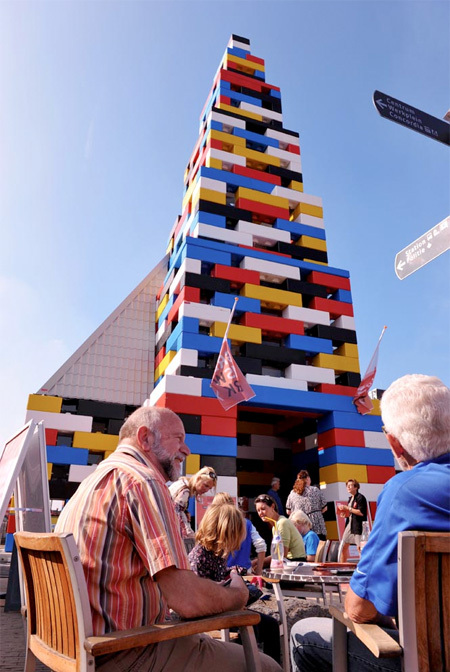 When the focus of a church is Legos instead of a deity, what exactly are these people worshiping? It’s not even that cool. Too choppy. 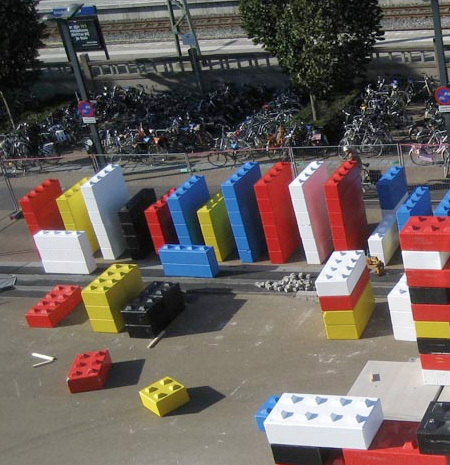 I’ve been more impressed with the smaller legos making a scaled down version of major attractions. Still, it’s a conversation piece. 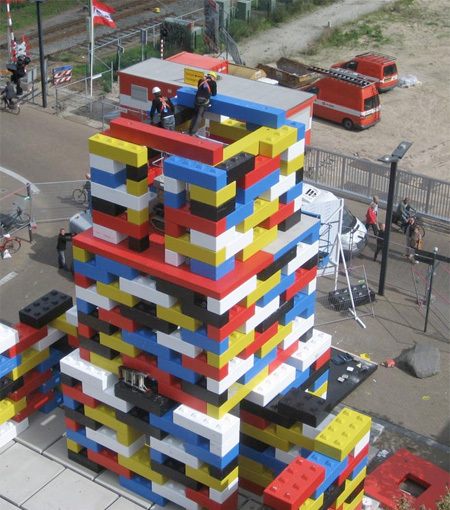 I’m glad there wasn’t a Lego cross. 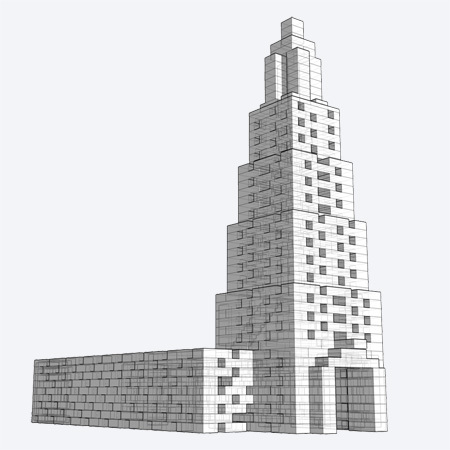 Think about it, its about making things bigger instead of scaling..
Revers Lego, build a copy bigger! 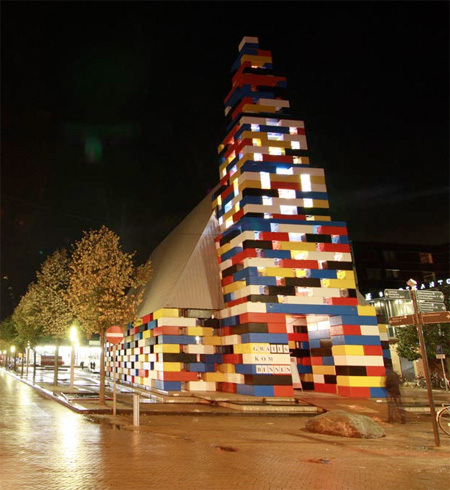 And its a church because of the fun religion should be and not as serious.. Its what u make of it. 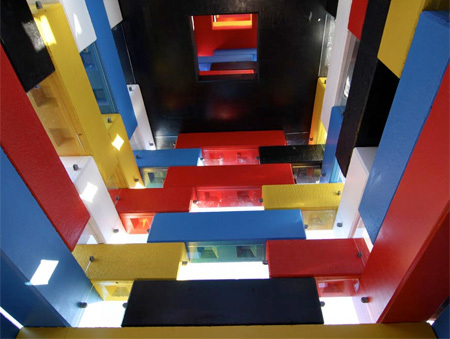 But u can stil say its a waist of money for art and a statement..
It’s a good representation of how the Dutch seek to transform empty/unused churches (most Dutch are anything but religious nowadays, nor do they care about religion) into places with new functions for people to gather in. It argues that these church building are only temporal and that something should be done with the many empty/unused church buildings in the country. 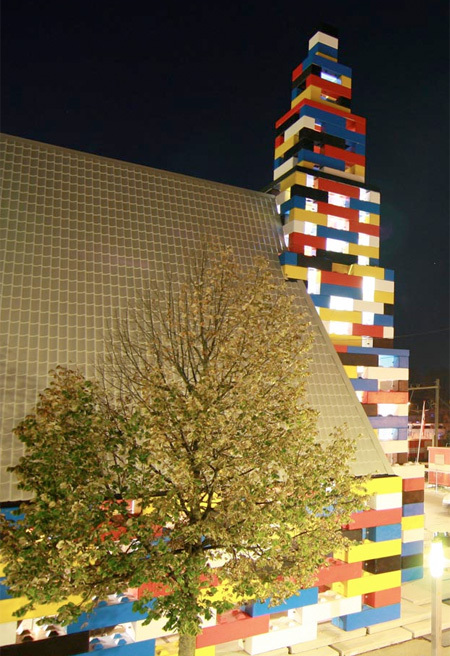 Anyway, the irony is that this must be the first time in the past decade that a building resembling a church has been built in the Netherlands.